Happy news: Rusty as been adopted. Rusty is the sweetest, most loving kitten. He urgently needs a new home as his elderly owner can no longer care for him. 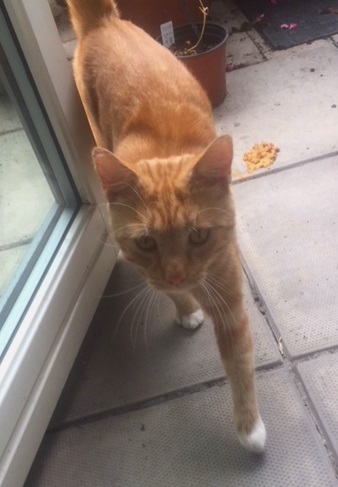 Rusty is approximately 10 months old and would like a garden to play in. He adores head nuzzles, and needs a quiet, loving home. Rusty is neutered and microchipped. He is a direct re-home. Rusty urgently needs a new home. Can you help?